Description: “Initiative for Amending Regulations in Area of Job Searching Support – Bosnia and Herzegovina” contains a working version of the Law on Amendments to the Law on Labour and Employment Agency of Bosnia and Herzegovina, with detailed explanation. 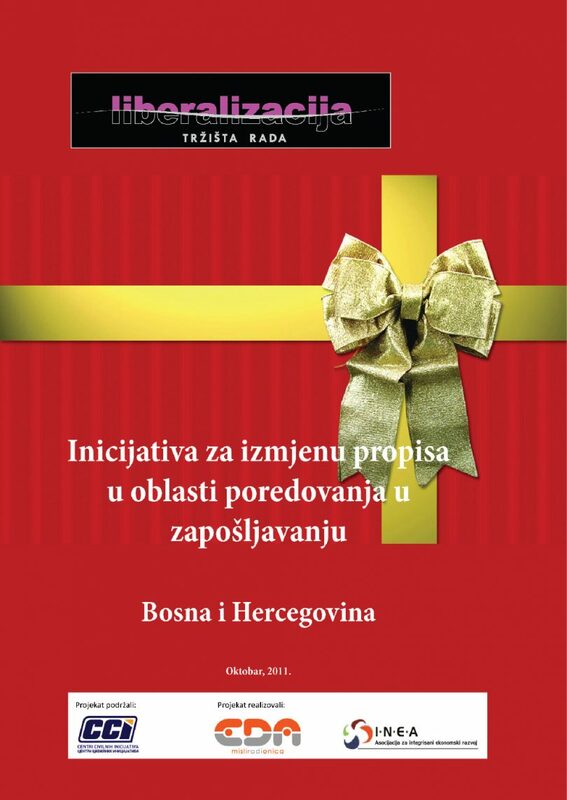 The initiative was submitted to the representatives of relevant institutions in Bosnia and Herzegovina with a request for consideration and inclusion in the Program of Work / Agenda in the first quarter of 2012. The publication is available only in local language.